Why is quartzite from Indian quartzite supplier is good for walls, floors & countertops? Every natural stone has its own pros that make the stone a right fit for your interior or exterior premises at home and office. Quartzite is a trendy choice among homeowners who prefer sophistication, ergonomics, and luxurious living. With crystalline sparkle, toughness, earth-toned hues and modish look, this stone from Indian quartzite supplier is a top contestant for home decor. For a layman, all stones are more or less the same except their colors. Only quartzite suppliers can make a difference between this stone and quartz. This stone starts its life as sandstone and changes its form inside the crust of the earth. Through quarrying and processing process, it is divided into slabs for countertops, floors, fireplaces, stairs, etc. 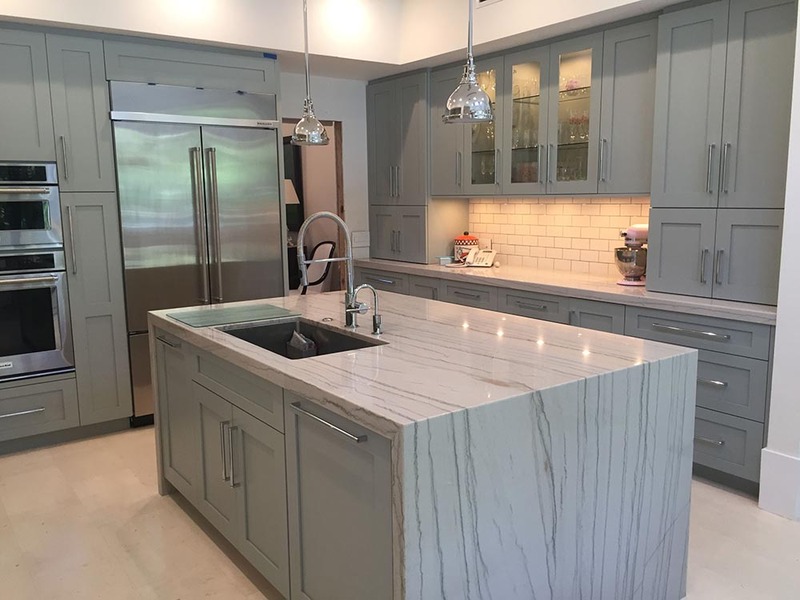 Before you contact quartzite suppliers, let’s have a look at some of the assumptions that clear you why quartzite is good for you than any other stone types. Quartzite manufacturers extract the stone from quarries and process it at factories. Quartzite is a word that is concerned with dolomites and marbles. If you have not purchased this stone ever, you need to differentiate between a “soft” and “hard” quartzite. This difference is detected with the quality factor. If you hear the word discounted quartzite, it means that it is “soft quartzite”. Remember that all the real quartzite mineral is hard with a property of 7 Mohs scale. Some quartzite suppliers may dupe you with dolomite (Mohs scale ~ 4) or soapstone (Mohs scale 2-3) in the name of quartzite. Here, the best thing you can do is to ask the seller for a lab report. Before making any purchase to beautify your walls, floors, and countertops, it would be better if you contact stone experts who can lead you in the right direction. Factors like the presence of the amount of iron oxide, the age of the stone, and geographical location of the stone are responsible for dissimilarity in colors. Natural things always pose a challenge to manmade things. 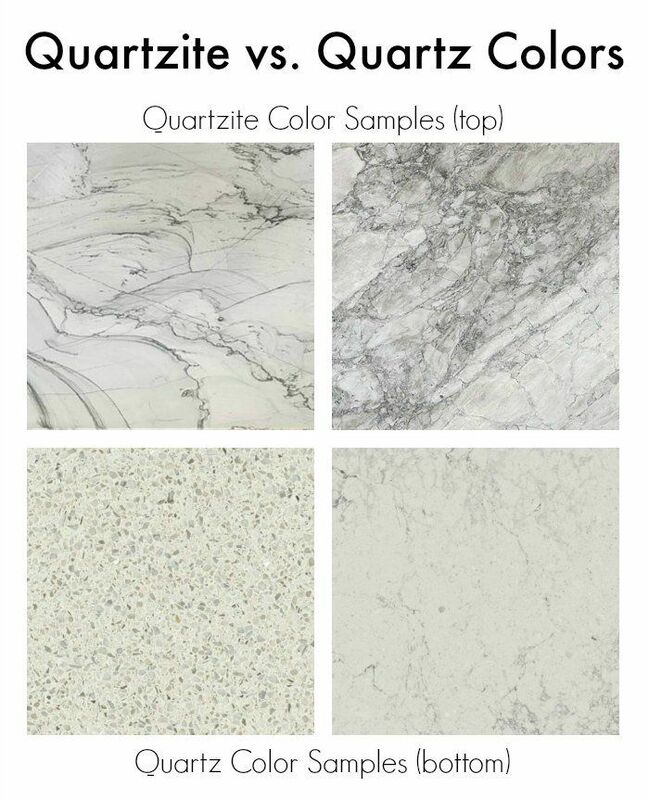 In the same manner, quartzite and quartz are also a great option for countertops and other mosaics. At the first glance, you will find both stone types spectacular, strong, and handy. But both are still not equal. The natural one comes out of the earth and a fake one is an outcome of product engineering from ground-up quartz, polymer resins, and additive colors. So, don’t mix both the stones. One is an engineered slab and another one is a naturally occurring metamorphic rock which evolves over time under extreme temperature and force. It is ideal for countertop, flooring, and wall covering applications. Manmade stone is not too bad and composite countertops made of this stone possess 93% quartz. Hence, it also stands a good contender with the sturdy surface. Quartzite for your home: A Big Yes? Resists heat and staining better than marble. Easier to maintain than marble. Provides a look and feel of marble. UV resistant; won’t fade or darken in direct sunlight. Less costly than manmade quartz. For beauty and durability; it is on a par with granite. If you seal this stone properly, it will help you protect its surface from etching and stains. This stone is quite good for home application products. Regatta Universal Exports, a popular quartzite supplier and manufacture from India, offers a wide and exhaustive variety of quartzite stones in multiple colors, designs, and sizes at the competitive price tag.